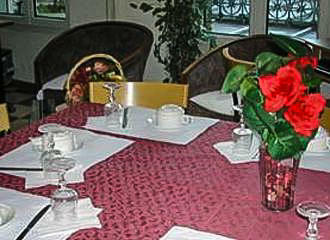 The Hotel de la Terrasse is a family run 1 star hotel located within the Montmartre area of Paris in the 18th Arrondissement close to the Flea Market, with 41 en suite rooms and a short walk to popular tourist attractions like the Sacre Coeur Basilica. The Hotel de la Terrasse is a family run friendly and welcoming hotel with basic individually designed rooms spread over four floors that do offer creature comforts such as Satellite TV and en suite facilities, which is unusual for a 1 Star hotel, but these do have to be accessed via stairs only. You will find that in most cases the staff speak English as well as French and are happy to help in any way they can to make your stay as enjoyable as possible, with breakfast available in the traditional continental style for an additional cost of approximately €5 per person. Internet access is also available, including WiFi, although this is mainly in the lobby reception area, plus they provide a fax service and can help with bookings for different attractions, museums, restaurants and more. There are a total of 41 rooms at the Hotel de la Terrasse, which all have an en suite toilet and shower along with Satellite TV and a direct dial telephone, plus the hotel rooms that face onto the street have double glazing for additional comfort to avoid noise from below. 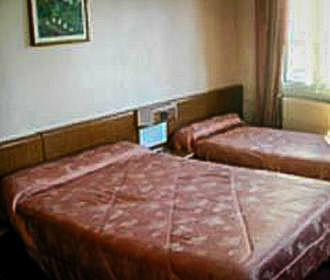 You can choose between a single, double, or triple room, which are basic yet comfortable plus WiFi is available in most cases, although stairs have to be negotiated to get to the rooms. 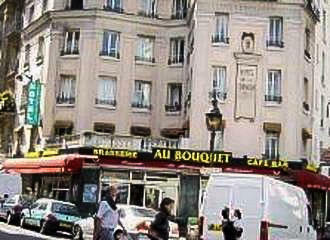 Located within the Montmartre area of Paris in the 18th Arrondissement, the nearest Metro station is the Porte de Clignancourt stop serving line 4. Alternatively, the Bus numbers 56 and the PC3 - bus 99 will also get you close by to the Hotel de la Terrasse.